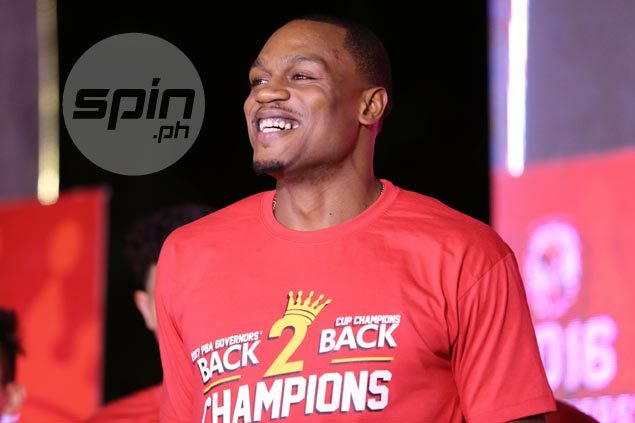 JUSTIN Brownlee is already in a class of his own among Ginebra imports, but that won’t stop him from cementing his status. After leading the Gin Kings' title defense of the PBA Governors’ Cup and becoming the first Ginebra import to win two championships with the team, according to chief statistician Fidel Mangonon III, Brownlee is eager to return for another championship run next year – and the following seasons as well. And who doesn’t, especially for a journeyman who went undrafted in the 2011 NBA Draft and contented himself in the D-League and in leagues in the Italy and France, before finding a home in the Philippines where the Gin Kings’ faithful welcomed him with open arms. “Winning a championship is the greatest feeling in basketball, and celebrating it with a great group of guys like this who accepted me for who I am and for what I can do and bring to the team, it’s just very special and a great feeling,” the St. John’s product added. “Hopefully we can just continue our success on the court,” the 29-year-old Georgia native continued. It remains to be seen whether Brownlee will return as early as the Commissioner’s Cup in the middle of next year. For now, he can enjoy his well-deserved vacation. “I think maybe Hawaii or go somewhere here. I normally go to Batangas for sure,” Brownlee ended with a smile.